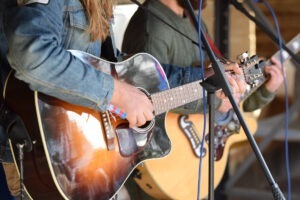 As the music of Das Fenster & The Alibis fades into the wind, and September becomes a memory, the crew at Deepdale Backpackers & Camping are still smiling from hosting the most amazing weekend of live music. 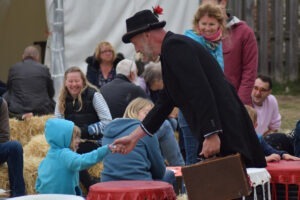 35 acts excited, mesmerised, silenced and wowed more than 600 festival goers, who enjoyed the sunshine of the North Norfolk Coast and the beautiful surroundings of Deepdale Farm. 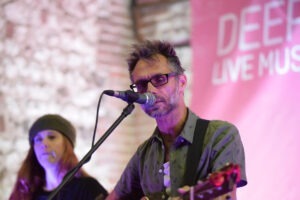 Chris Haycock drew together an incredible line-up of music, showcasing much of the best musical talent in the East of England. From the hugely energic stage show of The Thinking Men to the sublime musicality of Tilly Moses. The entertainment of the Last Train to Tulsa departing with the Doohickies to the beautiful self-penned folk of The Shackleton Trio. The Brick Barn Stage was the venue for the larger bands. The magisterial Vagaband on Friday, Mammal Not Fish and The Thinking Men with their hugely entertaining stage show on Saturday. And the brilliant festival finale of Man The Lifeboats followed by Das Fenster & The Alibis on Sunday. A lot of dancing took place in the Brick Barn. Outside in the Backpackers Courtyard, there was seating around large fire pits which offered warmth and atmosphere throughout the weekend, and the hugely talented line-up of acts on the Backpackers Stage. There was a very special performance by Alden Patterson & Dashwood on Friday evening, which will live long in the memory. 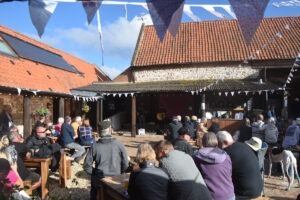 Across the way at Dalegate Market was the Orchard Stage, where stalls created the festival village, offering very tasty food, Norfolk ales & cider, face painting, massage and crafts, with rings of bales forming the seating. The Orchard Stage hosted some fabulously talented musicians. 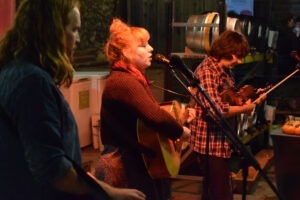 You could hear a pin drop when Tilly Moses was playing the Orchard Stage, and The Shackleton Trio headlined The Orchard on Saturday night with their beautiful folk. 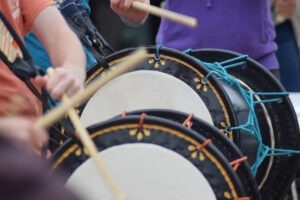 The Doohickies closed the stage on Sunday afternoon, and the Orchard also hosted a taiko drum workshop and street performers workshop. 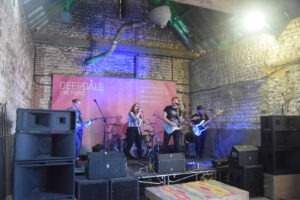 The Deepdale Music programme has been developing over the last couple of years, including Sunday Sessions, Deepdale Hygge and our highlight the Deepdale Festival. Deepdale Festival 2019 will take place on Friday 27th to Sunday 29th September. 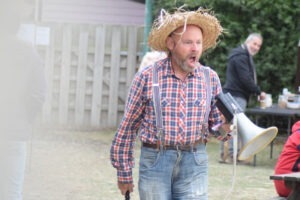 Bookings are already flooding in, and the accommodation at Deepdale Backpackers & Camping is more than half full already. The programme for 2019 is already under construction, but won’t be announced until well into the new year.